Surf's up for your next event. Are you ready to catch that wave? 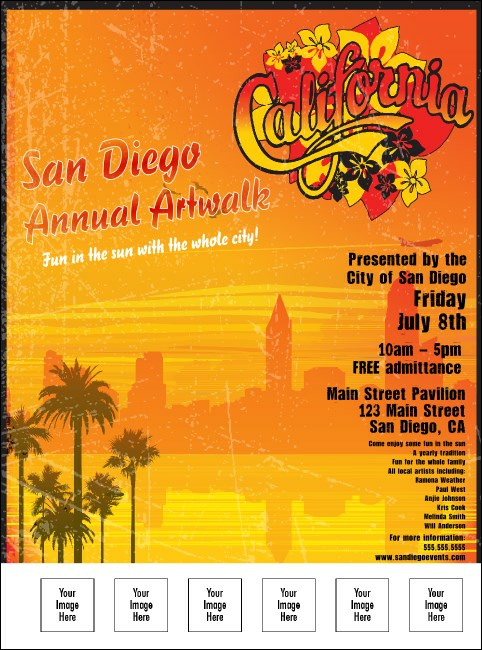 Make the most of pre-event publicity with a gorgeous red, orange, and yellow San Diego Flyer that opens a window onto Southern California. Combining beach, city, and nature scenes with a blazing sunrise, this flyer lets you upload six of your own images. Turn the tide in your favor with local Event Kits from TicketPrinting.com.